It's been months since the Aguirre vs. Hippo feud and the arrest of Filipo D. Hippo. The situation was unfortunately sensationalized by both Justice Secretary Vitaliano N. Aguirre Jr. and PNP Chief Bato Dela Rosa. This did not sit too well with both Senator Panfilo Lacson and Senator Richard Gordon. 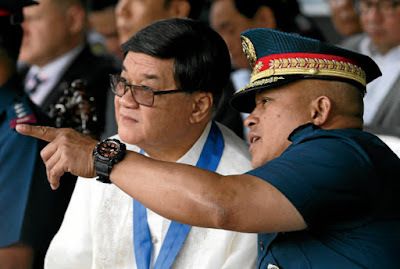 Both the Justice Secretary and the PNP Chief were rebuked for their lack of discretion Both were rebuked for focusing too much on Hippo's crybaby attitude when there are other problems sinking the nation. "Why should we focus too much on the CHR Vice Chairman? He's useless and locking him up won't be considered the biggest achievement. He was promoted by impunity loving Gascon. What they should be doing is to clean CHR not focus on a useless youth who is always making stupid statements." said Senator Lacson. "If anything, there's a lot of problems in the PNP and Bato himself should focus on them. Filipo D. Hippo's arrest is nothing unless we can arrest all the dirty people at CHR and the PNP. I'm bringing this matter up to remind Aguirre and Bato to set their priorities straight. 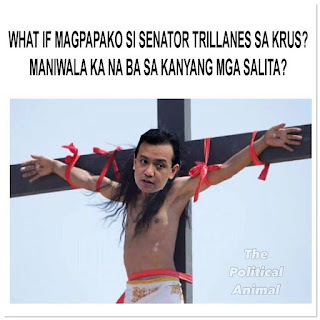 They should let that idiot youth stay in Camp Crame for all we care. He's habitually late, he got left by his flight, he lost his invalid case then it's the problem of that idiot who claims time will wait for him. Aguirre not accepting that case is more than enough to slam that idiot. He (Aguirre) should focus on his job and not on Hippo." said Senator Gordon. Both Justice Secretary Aguirre and PNP Chief Bato refused to issue any statement on the rebuke they received. As far as concerned, both of them may have decided to focus on the issues at hand and are no longer focused on Hippo. 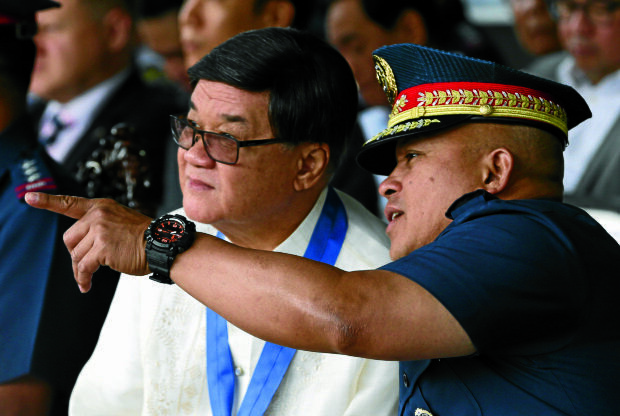 Justice Secretary Aguirre's only reply was that he and Bato are focused on arresting more drug mayors and punishing lawyers who accept invalid cases.